BETTER THEN EVER!! !This home is getting a new tile roof by May 2019. 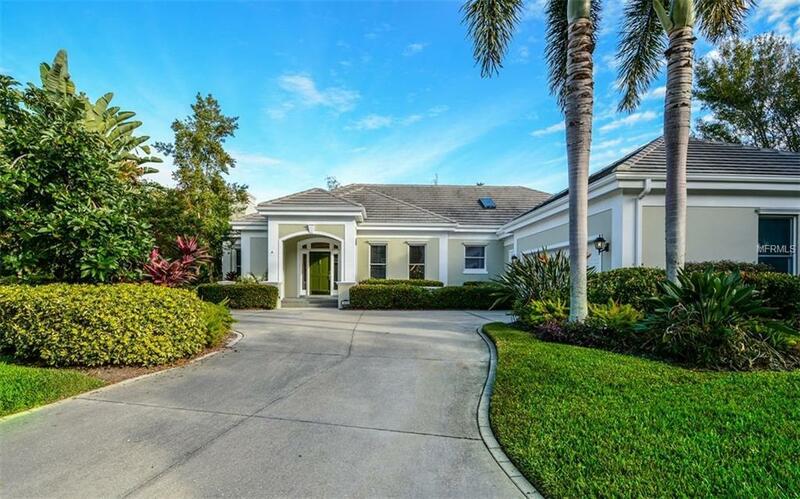 The Cloisters one of the most desired locations in The Landings A GATED COMMUNITY. Custom home with 4 bedroom/2/2 baths. Two bedroom guest house and 1 bath located separately on the next to pool & privacy for your guests. 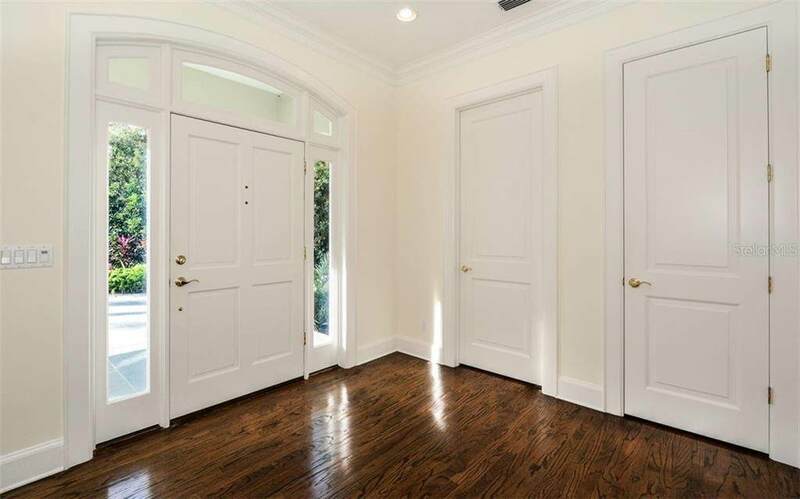 Enter to a elegant foyer to an open great room with soaring 12 ft ceilings with wide crown molding on ceiling/ wood floors and you have solid wood oak flooring. 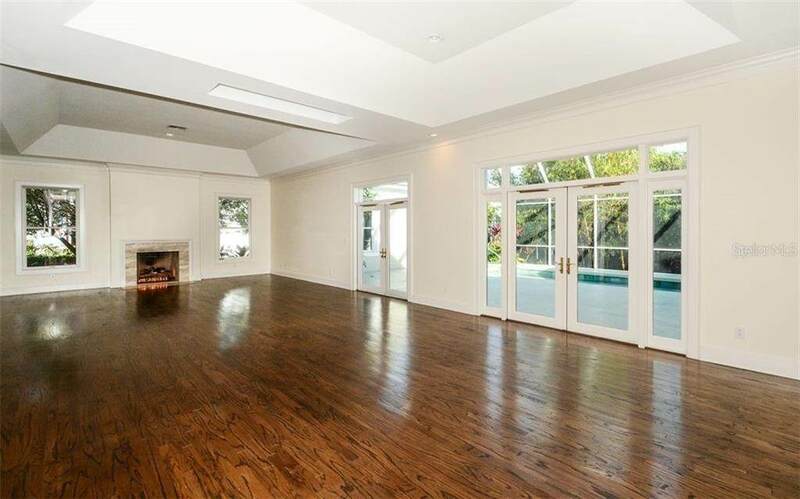 The great room which is light and bright with a fireplace, spacious dining area and french doors open to the outside tropical landscape entertainment pool area. Double solid wood pocket doors may close off your kitchen. Top of the line stainless appliances/solid wood cabinetry, granite counter tops and pull-out shelves and a walk-in pantry. A gallery hallway features a den/office with his and hers built-in desks and exit through french doors so you can enjoy a 36 ft caged saltwater pool with new pool heater. The Master suite is bright and spacious and opens to the screened lanai. A small den or office is attached to master for exercise room or sitting area. Newer master bath features marble and dual sinks, a walk in shower and freestanding bath. $75,000 in painting of interior of home, new window and interior of garage and floor painted, new roof 2019,,new pool pump & new screening where needed on caged pool lanai. Generator for entire home 2012. Join Racket Club with 8 hard tru tennis courts, pool, library, fitness center only $1485 YR not mandatory.